It's not often that I create let alone make a blog post totally dedicated to masculine cards. When I saw this new suite featured in the new Occasions catalogue, I actually fell in love. I loved the awesome sentiments (even cooler that you can punch them out with the coordinating punch!) 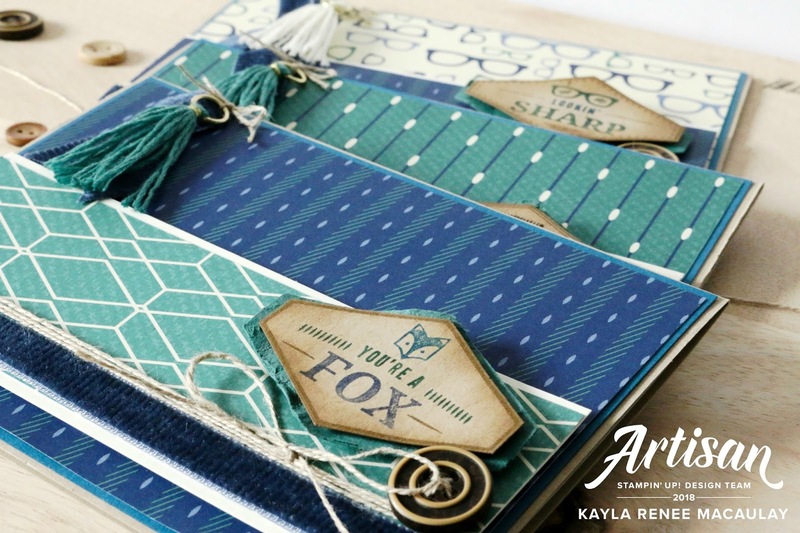 and the awesome papers with such cool geometric and fun designs. You can really make this suite work for men of all ages! 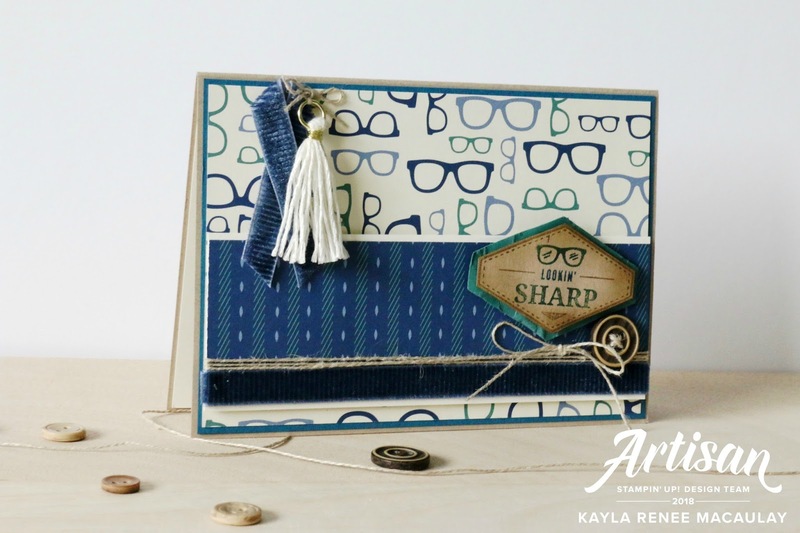 I love it when Stampin' Up! nail that on the head, and they do it so well! I kept mainly to the embellishments that were included in the suite however really thought the tassels from the Eastern Palace suite added a bit of 'oomph' to the final design. I hope you enjoy this post, showing what I made with this suite. Here's a look at the trio of cards I made. I wanted to make a card for each of the sentiments that coordinates with the punch. I also really just love making cards in threes or fours. Why not while you have all the supplies out? I love that these cards gave me a good reason to dig into my Designer Series Paper as I am becoming a lot better at not hoarding paper, and cutting it and using it! I particularly love the DSP with all those funky glasses. How cool is it that those glasses have made a total comeback now? So trendy! 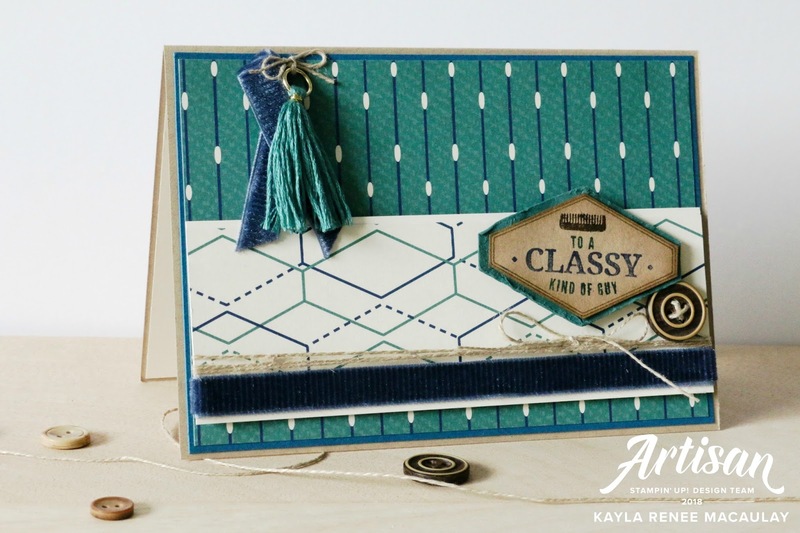 I love Tranquil Tide, it's one of my favourites of the newest In Colours and so I really love this card, the tassel from Eastern Palace fits in perfectly! I actually used the punch twice on these cards. Once to punch out a tranquil tide piece, which I then sprayed with some water and crumpled to give it a 'worn leather' look. I then used it to punch out my sentiment. All of the sentiments I actually coloured the stamp with Stampin' Write markers to stamp. Did you know you can use them as ink? To finish the sentiments off I have used a Sponge Dauber and some Crumb Cake ink to lightly dab around the edges for a worn look. This is probably my favourite of the cards. Isn't that fox just the cutest? I love the colour combination on this card. The rich blues & greens work so perfectly together. We all know I am blue & green girl anyway! The last card features the funky glasses. Aren't the sentiments just awesome? Here's a close up of my finished cards. I love how they turned out and the texture and dimension I was able to create. 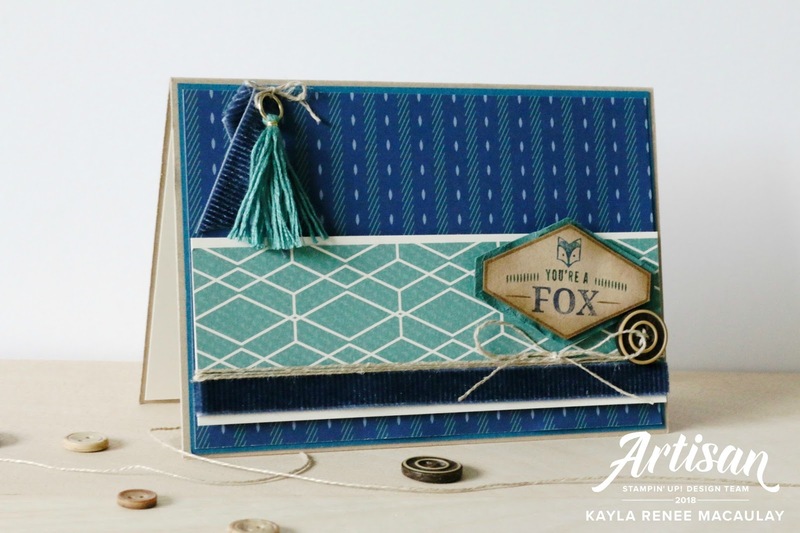 These cards were initially inspired by a design I saw by the lovely Teneale Williams. I just love looking at her stunning work. 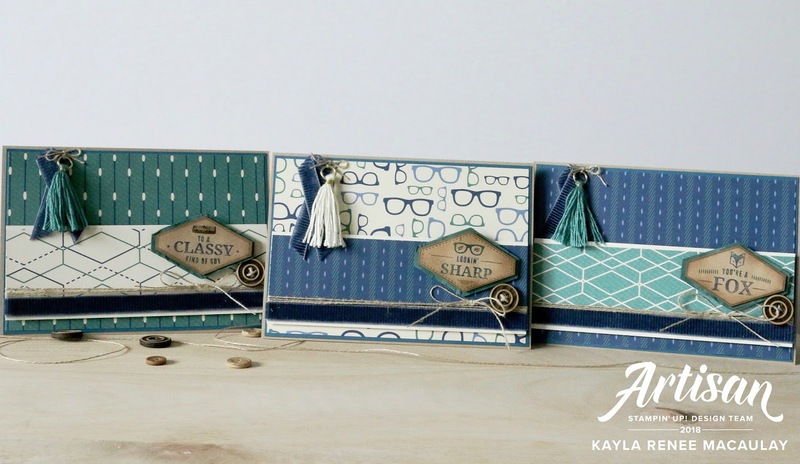 I hope I have inspired you today to give this gorgeous suite a try. It really is great for all those masculine cards that we often struggle making.